New construction gains some personality. We gave this master bedroom the boutique hotel treatment topped off with bedding that makes it feel like a 5 star getaway. 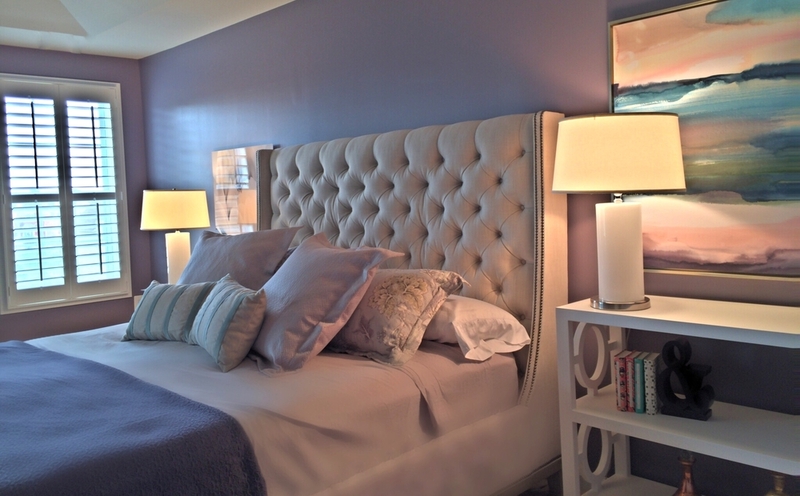 The soothing wall color only adds to the special feeling in this space.